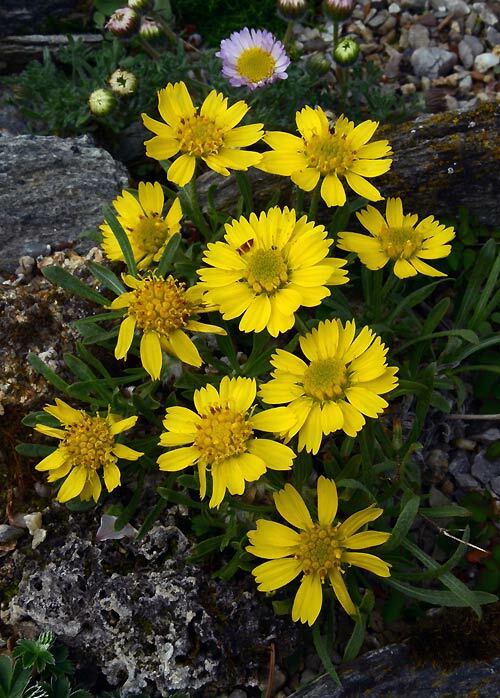 Haplopappus acaulis - This is a desirable subalpine & dryland daisy from subalpine ridges in California. 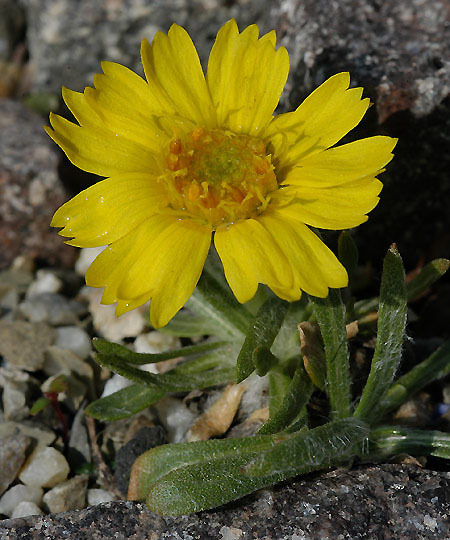 I cultivate it in a trough in full sun. Hardy and spring/early summer flowering!